Chin Track Days announces the addition of Daytona Int'l Speedway to the 2019 Chin Track Days event schedule. Our inaugural visit to Daytona will be on November 8-9-10 in 2019. Even though Chin Track Days is well established as the #1 provider of track events in Florida, Daytona has not been a part of the calendar before 2019. This will be a stand-alone Chin event, not a time-sharing partnership with another club. 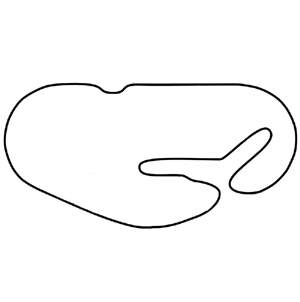 Featuring the 3.56mi "Rolex 24" road course configuration. You can begin now to plan with confidence for this flagship event of the fall track season. Last edited by The Management; Yesterday, 12:01 AM.